Box & Ship is your local shipping and packing service in the Pasadena, California area. Since 1990, we have provided boxes and packing supplies, custom crate creation, and convenient local and national shipping. Box & Ship specializes in antique and fragile shipping from coast to coast. You can rest assured your package will get to your destination safely and on time. Call (626) 714-3002 to schedule a pick up today. 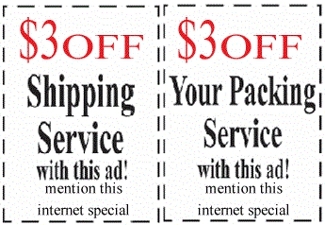 Box & Ship is dedicated to quality shipping services at an affordable price. Along with everyday free estimates, we handle various types of shipping needs from small moves for college bound students to handling delicate antiques. Our prices are competitive with regular discounts offered.